The Set of 4 Toy Dinosaurs is on sale for $14.95 at Amazon right now. That's 40% off the list price of $24.95! MAKES A GREAT GIFT for every preschool boy or girl – Kids LOVE this fun dinosaur toys playset and will love you for it! 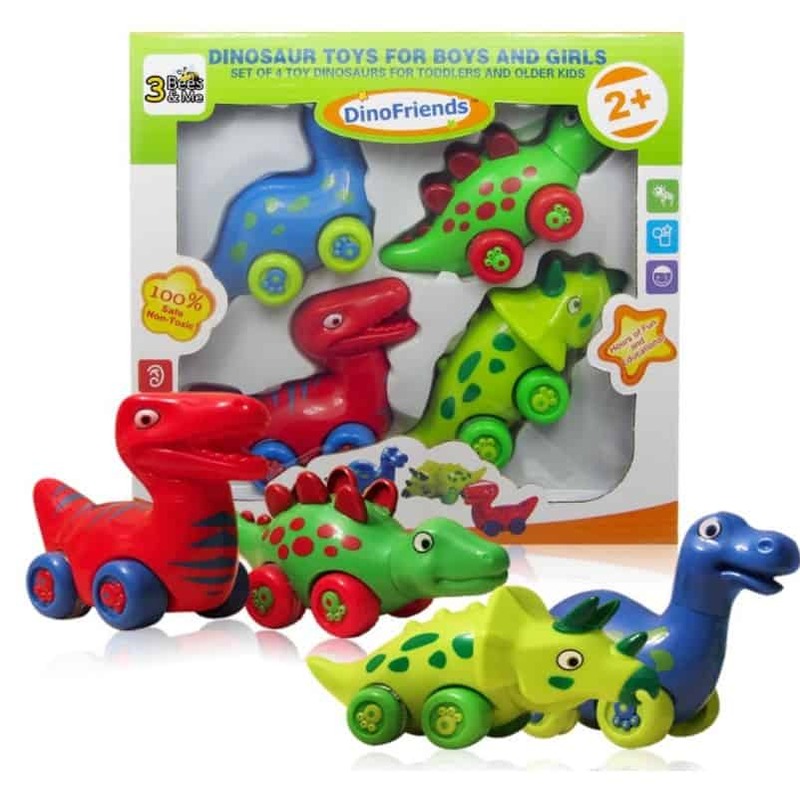 BEST VALUE – Why pay extra for separate toys when you can get this most popular 4 dinos in 1 collection today? SAFE FOR KIDS & THE ENVIRONMENT – certified bpa free, lead free, and phthalate free, these fun dinosaur vehicles are built to last! SATISFACTION GUARANTEED – Order these dinosaur figures today 100% Risk Free. 60 Day Return. We stand behind our dinosaur toys!